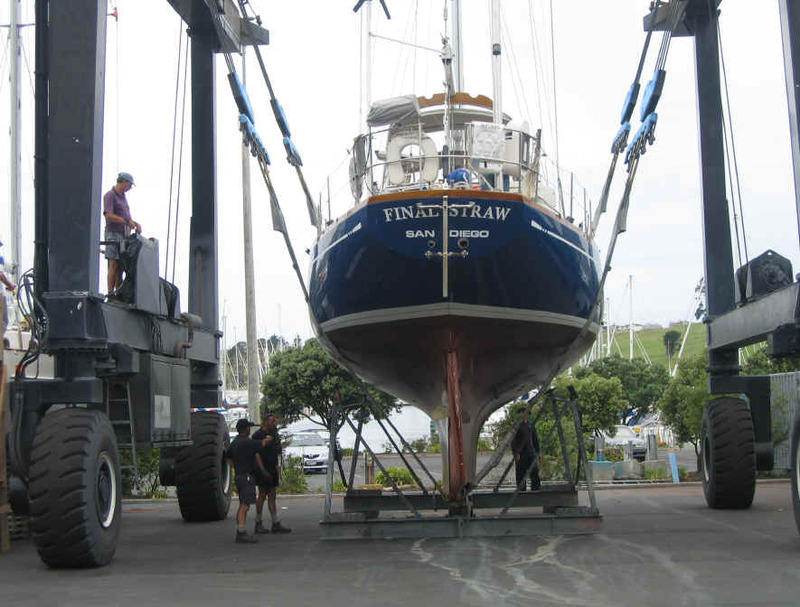 After spending over a year at Bayswater Marina across from downtown Auckland, we felt it was time to move north and prepare the boat for the upcoming season of travel. We face over 3000 miles of sailing to Fiji, Vanuatu, New Caledonia and Australia in 2004. So, it’s necessary to address any issues we may have with the boat and fix them. New Zealand has a very talented marine workforce and is a bargain compared to the States. A year ago, one Kiwi dollar was equal to about 50 cents U.S. On this date, its up to 70 cents. Even with a weak US dollar, it makes sense to do repairs here. So, we left Bayswater for the short passage to Gulf Harbour Marina and their excellent boatyard. 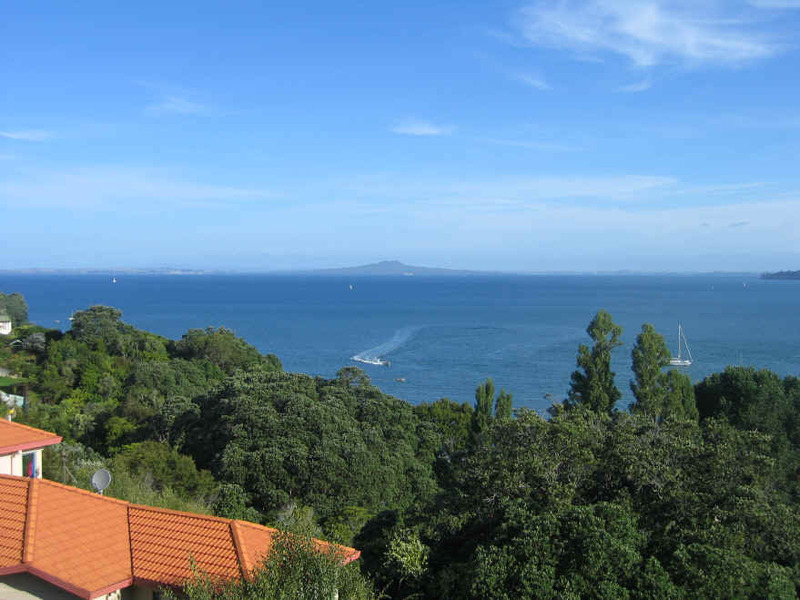 It’s located about 25 km north of Auckland on the beautiful Whangaparaoa Penninsula. · painted the bottom of the hull with new coats of anti-fouling paint. · replaced the lifelines along each side of the boat. · replaced the old refrigerator and freezer with new ones. · removed and reseated the eight hull ports and three large ports in the main salon as well as the cabin prisms. · added a new transformer so the boat can accept 240 volts AC which is used everywhere outside of North America. · had a new mainsail made and updated our spinnaker with a new snuffer system. · added a new vac-u-flush electric head (toilet) in the forward stateroom (Suzy’s very excellent Christmas present). · renovated and updated the stove which was originally built in New Zealand. · rebuilt the headsail hydraulic furling system and the mainsail hydraulic furler. · refurbished the hydraulic steering ram. · updated and inspected the 6 man life raft. · galvanized 400 feet of anchor chain and the Bruce and CQR anchors. · replaced the main stateroom mattress with a new inner spring complete with a lambs wool undercovering (Suzy’s favorite). · refit the high pressure pump and membranes on the 20 gallon/hour watermaker. · replaced the old Avon dinghy with a new New Zealand made Aquapro dinghy. 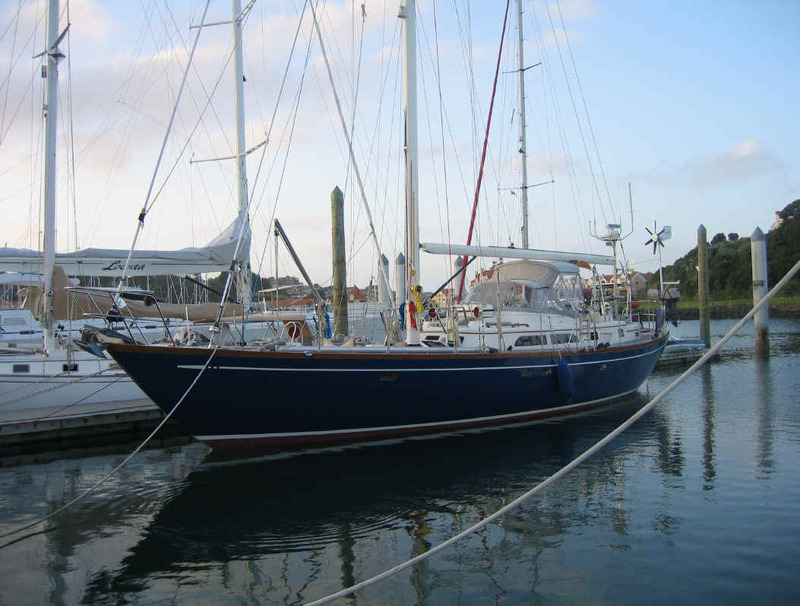 · added a new Lewmar 48 two-speed winch to control the mainsail outhaul. · added a new weather satellite system to download weather photos from space as the NOAA satellites pass over us. The list above should give an idea of what has kept us busy these past several weeks. The last item on the list is homemade and works pretty well. The software to predict satellite passes and decode the telemetry into photos was found to be available free on the internet. The system will be helpful determining the extent and position of weather fronts while on long passages where weather information is difficult to find and often untimely. Now, we’ll be able to see the fronts and their intensity real time. 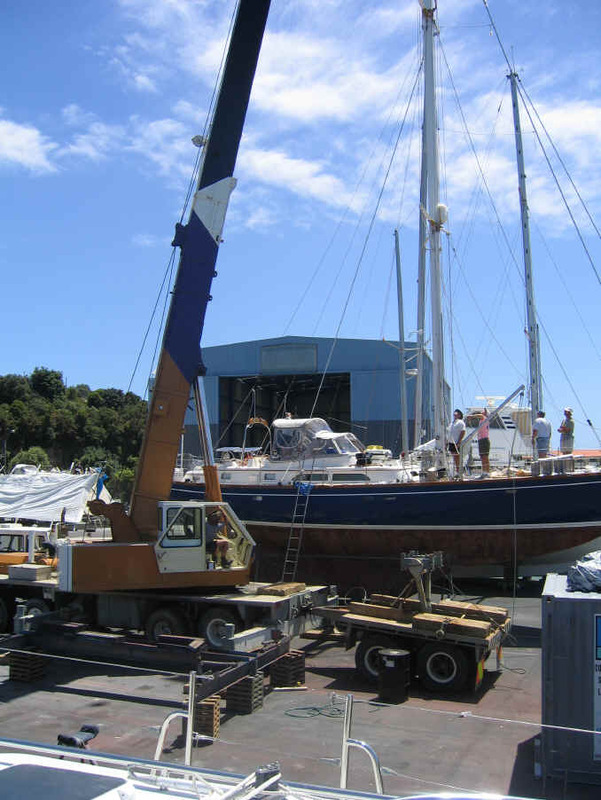 Gulf Harbour has a large 75 ton lift that easily moved the boat to a spot in the boatyard. In yacht talk, this is called “being on the hard”. We were on the hard for five days. Then, we launched the boat (which weighs about 30 tons) without her mast and moved to a slip in the marina. 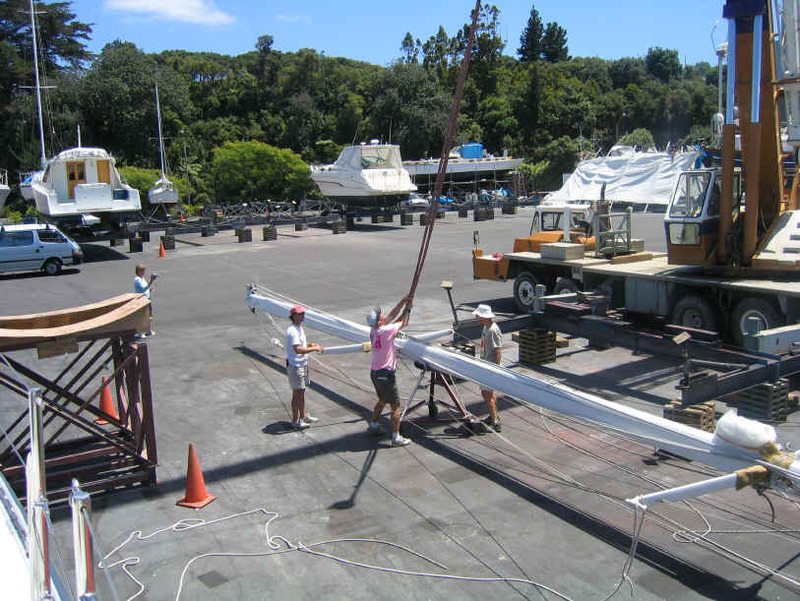 Just over a month later, the mast was finished and we moved the boat to the travelift bay where the crane lifted the 750 pound mast back on to the deck while the boat was still in the water. Now, Final Straw is in pretty good shape to start a new season of cruising adventure! The new antenna for receiving real time weather direct from NOAA and Meteor (Russian) satellites may be seen on the stern just to the left of the wind generator. To go back to “Touring New Zealand”, click here. To return to “Crossing the Pacific”, click here.